Tags: Featured, Items of the week. Unprecedented events are on the near horizon, that have never happened in all of history. No one will doubt the world is going through tremendous changes at a speed beyond the control of anyone or any nation. 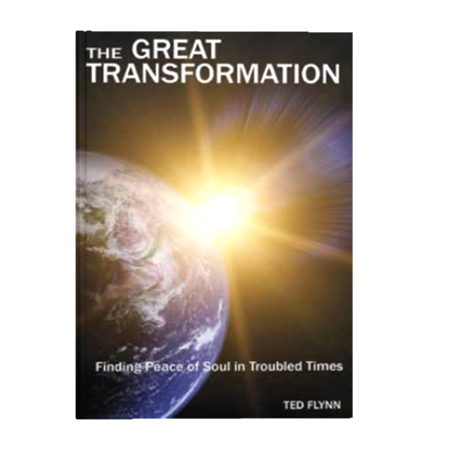 The anxiety and stress in our midst is readily apparent to nearly everyone as the world goes through a GREAT TRANSFORMATION. We are moving towards a New Springtime, a New Era, and the Second Pentecost. The questions must be asked, What can we expect? What are the events? What are we to do? The Lord in His mercy has given us all the answers we need in Scripture and Tradition for Finding Peace of Soul in Troubled Times. We have been told what lies ahead and how to maintain our composure as people and institutions crumble around us. A blue print and prescription has been given by the Lord to those willing to listen and how we are to respond in these times. In many instances there is precise detail about key events soon to happen. God has a plan and accepting that plan will bring us greater peace. To resist or lack knowledge about what He is doing brings an anxious spirit. There are quotes from popes, saints, scholars, mystics, apparition sites, Jesus and the Blessed Mother about the days ahead.We can expect to see some spectacular events in the near future—maybe the very near future. Heaven has a plan and never moves without informing their prophets in advance. This is not a book just defining the problem — but also providing the solutions & answers we need for peace of soul.